White onion (Allium cepa blanc): growing, planting, caring. 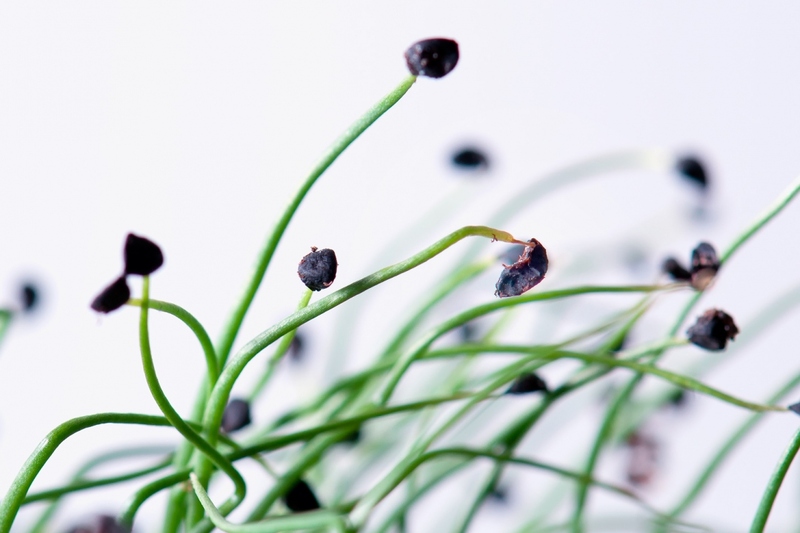 Don't worry about us over here at Groww, these spring onions are just bringing a little tear to our eyes! It's important to distinguish white onions, which are planted in autumn, from red and yellow onions, which are planted in the spring. 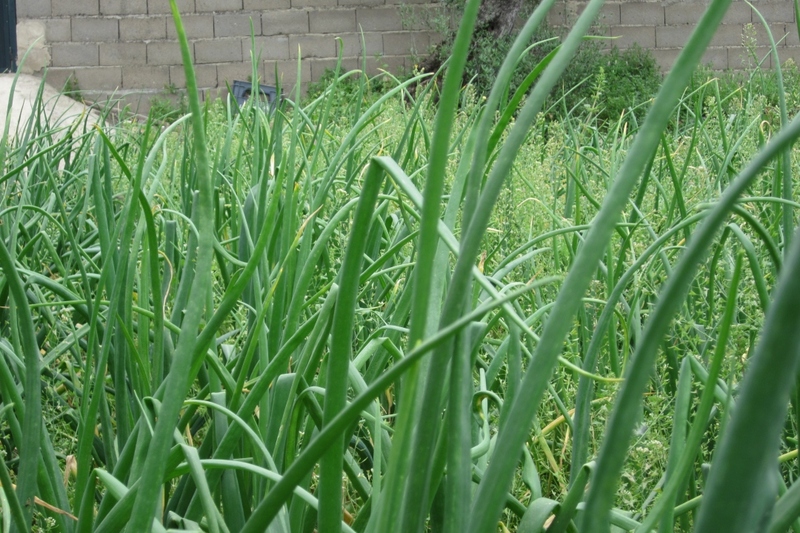 White onions are easy to grow but they are just as unpredictable as any yellow or red onion. They have a tendency to go bad faster, so they can't be kept as long. They'll get along fine in "poor" soil, but they don't like humidity. 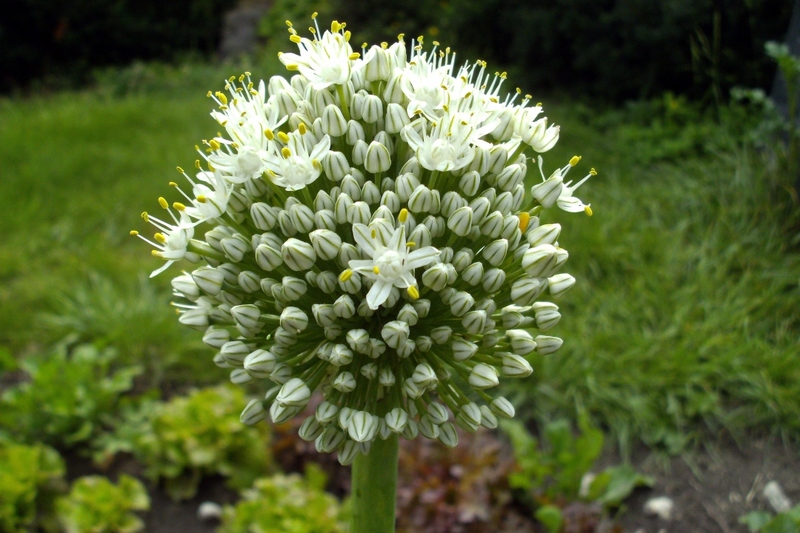 White onions are bulbs with a biennial cycle. They have tubular leaves and small flowers in spherical umbels. You can sow seeds, which will give you bulbs (little onions with a diameter of one or two centimeters), which you must then transplant. Sow in a nursery — bury the seeds a little and water a bit to seal the soil after sowing. You can also be lazy, and just buy the bulbs directly from a store! Transplant the bulbs 10 cm apart in rows separated by 20 cm. 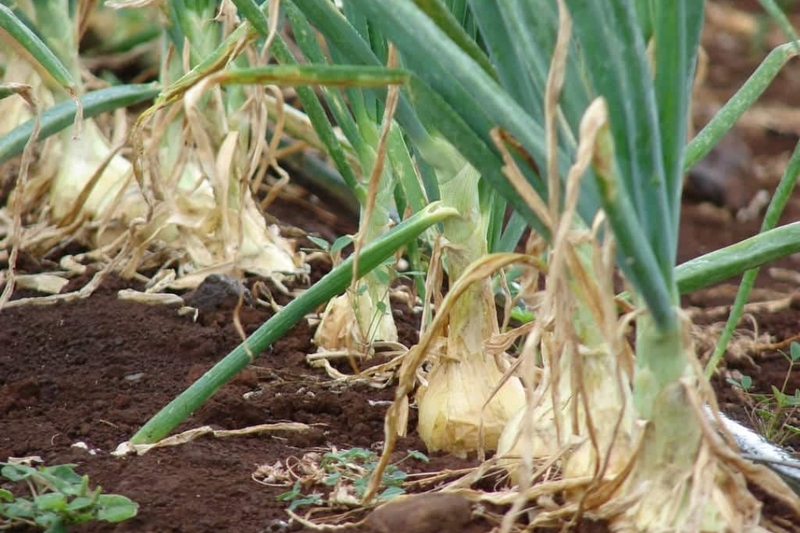 Form a 5 to 10 cm high mound, which will protect the onion from excess moisture if it rains frequently. Plant each bulb by hand, roots towards the ground and the pointed side upward. The onion's top must be about 1 cm underground. The simplest is to put the onion between your fingers and sink your fingers into the soil; avoid digging a hole with a dibber or other tool: the onion won't necessarily be in the right direction, and its roots won't be in the soil! Water only if the soil is very dry. Hoe gently to weed the plot. Do not water or just a little, it is rarely necessary. When the leaves start to dry, it's time to harvest your onions. Drying is then vital as the white onion rots much faster than the yellow one if not stored properly! 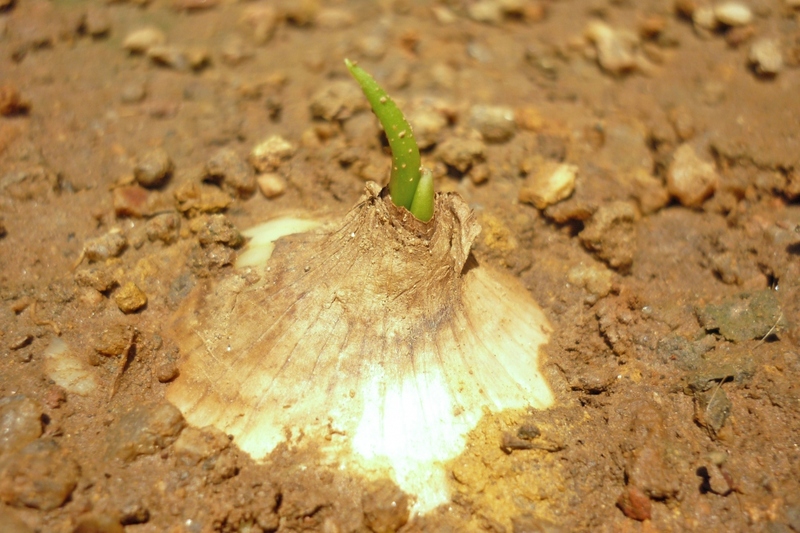 Harvesting is very simple: pull at the base of the leaves to extract the bulb from the earth. If you eat you white onions "fresh", start by harvesting the most advanced onions: the bulb is sticking slightly out of the earth, a little like a radish. Clean away the majority of the soil that covers them, and then leave them to dry either in the sun or for several days in a dry shelter if it might rain.